Queen of Hearts Banquet Hall is a counter service restaurant in Fantasyland at Tokyo Disneyland. It's a top quality meal. The Queen of Hearts Banquet Hall is the largest restaurant in Fantasyland and one of the more popular places to eat at Tokyo Disneyland. 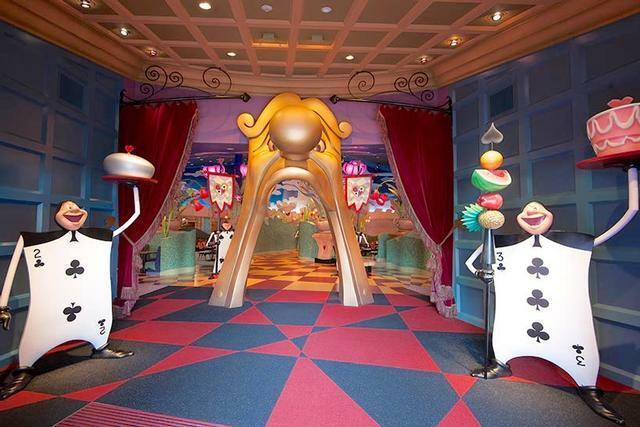 This buffeteria-style restaurant specializes in rotisserie chicken and decadent desserts, served in a highly themed environment filled with characters from Disney's animated Alice in Wonderland.